Beloved NYC natives The Martinez Brothers and Louie Vega link up with Latin-focused media outlet Remezcla for the Pa’ Puerto Rico event, a night to help raise funds for relief efforts in Puerta Rico following Hurricane María. Hurricane María swept through Puerto Rico last September and left much of the island damaged. Currently only 80 per cent of electricity has been restored, making it the longest blackout in US history. In light of the situation in Puerto Rico, 35,000 people have contributed more than $4.5 million to the María Fund, an initiative benefiting over 33 grassroots groups in Puerto Rico. The fund, which has been supported by the likes of Spike Lee and Princess Nokia, is set to help on-the-ground campaigns dedicated to immediate relief and long-term efforts to support Puerto Rico. 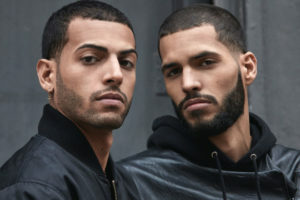 On January 25, The Martinez Brothers and Louie Vega will head to the Remezcla headquarters at 203 Moore Street in Brooklyn, NY for the special Pa’ Puerto Rico event where they will perform alongside DJ Lady S and DJ Mode. All proceeds will go to the María Fund.